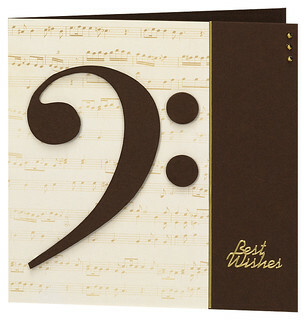 SF06U-14 Creative Cover Brown Card Blank. SR390P Music Sepia Creative Paper. CRE04CA5 Brown Creative Cover Card. XL082U-01 Best Wishes Peel-Off Stickers. XL500U-01 Mixed Width Border Peel-Off Stickers.